There's a group of folks in South Carolina who are concerned about alien invasions, and they're working very hard to spread the word among their fellow citizens about the danger. No, it isn't aliens from outer space that the members of the South Carolina Native Plant Society are concerned about, it's invasive plants that can have detrimental effects on native species. Take, for example, the fig buttercup (aka lesser celandine; scientific name, Ficaria verna). Seriously, take it... away. The plant's common name makes it sound so endearing, so harmless; but as Bill Stringer, professor emeritus of agronomy at Clemson University, president of the Upstate Chapter of the SCNPS and president emeritus of the organization's state board of directors, explains, this relative newcomer to South Carolina - so far reported growing wild in only a couple of Upstate counties - has the potential to become a big problem in floodplains, where it could drive out native plants and disrupt entire ecosystems if it isn't stopped. According to a fact sheet put together bythe Upstate chapter (available on the Society's website: http://scnps.org/), this fast-spreading plant thrives in moist areas, and its early winter growth stage gives it a competitive advantage over slower-to-start native plants that favor similar conditions. Once established, it creates extensive, dense, monocultural mats which displace and exclude native vegetation. Rick Huffman, a professional landscape designer and the owner of landscape architecture firm Earth Design, says that restoration of native habitats is one of the guiding principles behind his company's work. The native Greenvillian helped found the nonprofit SCNPS after moving back home to the Upstate from Atlanta in the mid-nineties. At the time, Huffman noticed that there wasn't much of a push toward sustainability and realized that he could promote that idea through his landscape architecture business. He also noticed a "lack of understanding about how native plants should fit into that sustainability model," and saw the need to raise awareness on the issue. So, he started writing letters - letters in which he put forth the idea of building a grassroots organization that would be an advocate for native plants - to individuals and to entities, such as the S.C. Department of Natural Resources and the U.S. Forest Service. "I got sixty responses," recalls Huffman, "indicating the need and desire," and the Native Plant Society was born. Huffman served for thirteen years as the first president of what eventually became the Upstate chapter of the SCNPS, at some points also serving simultaneously as statewide president. Within five years, four more chapters had been started. The organization now includes the Lowcountry, Piedmont, Midlands and South Coast chapters. 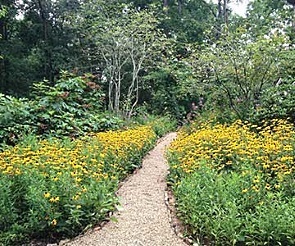 The mission of the SCNPS is to protect and preserve native plant communities using a variety of methods, including educating the public about the importance of native plants; supporting efforts of government agencies to protect habitats and endangered species; encouraging people to use native plants in public and private landscaping; and promoting the commercial availability of native plant materials. 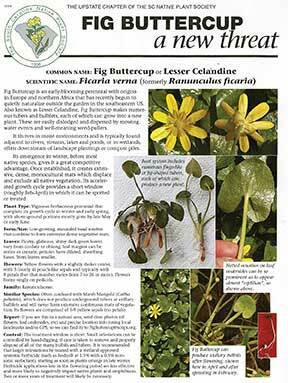 Visitors to the SCNPS website will find loads of valuable and interesting information, such as the aforementioned fact sheet on fig buttercup, as well as detailed reports and fact sheets about other harmful invasive plants, and tips, guidelines and articles designed to help homeowners, gardeners and landscapers identify native plants to use in place of commonly planted exotic species. 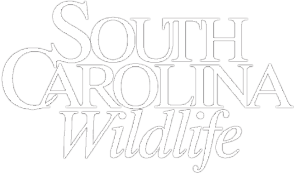 The use of native plants in the home landscape has great benefits for wildlife and is a cornerstone of programs such as the S.C. Wildlife Federation's "Certified Backyard, Schoolyard and Community Wildlife Habitat" programs. 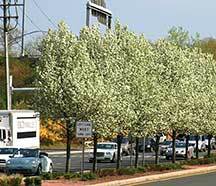 For instance, instead of Bradford pears, a conscientious homeowner concerned about the spread of non-natives could instead choose to plant a variety of hawthorns, or perhaps serviceberry, redbud, red maple, or Southern sugar maple, suggests Stringer. Bradford pears scare him a great deal. The tree has become popular in landscaping because it grows fast and has a bushy green canopy, but it also has a dark side. The tree reproduces thorny versions of itself and has a propensity to split, he explains. Jeff Beacham, the current president of the SCNPS state board of directors, recalls a field in past years adorned with native wildflowers. Today, says Beacham, "It's so overgrown with Bradford pears it's impossible to walk through." 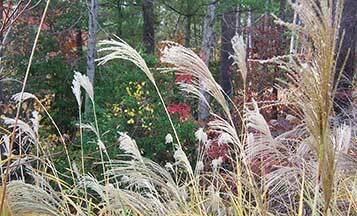 Another invasive plant that threatens natives is Chinese silvergrass (Miscanthus sinensis), aka Chinese silk grass, maidenhair grass, eulalia grass or zebra grass, which is becoming "one of the most popular elements in landscaping," says Beacham. "You see it everywhere," he continues, and not just in people's yards; each plant is capable of producing millions of seeds, which are airborne, making it extremely prolific and effective at spreading. In fact, adds Huffman, you can see it growing along I-26 all the way to Asheville. Part of the problem, he says, is that silvergrass is being promoted as a potential source of bio-fuel. "But we have native and nonnative, noninvasive species that would work as bio-fuel," says Beacham. Once educated about the evils of invasives, members of the public are generally open to using native plants instead, says Huffman. The biggest challenge, is getting nurseries - especially those attached to big box stores - to "recognize and understand that we have a problem." According to the SCNPS website, a majority of the plants available for sale at the big box stores and many nurseries are non-natives. The nurseries, of course, respond to the demands of the consumer. So, continues Huffman, "We're working to educate the public, so that consumers put pressure on the industry" to eschew invasive plants and demand native ones. In addition to raising awareness, members of the SCNPS also take action by removing invasives when possible, rescuing native plants in locations where they are threatened, and planting or replacing them in appropriate habitats. Beacham points out that they aren't opposed to exotic plant species altogether, "just exotic plants that are invasives," in other words, plants that have a propensity towards displacing native species. It isn't just a matter of local pride. Native species evolved here, which means they had to survive the conditions and pressures of their environment and be able to use them effectively. 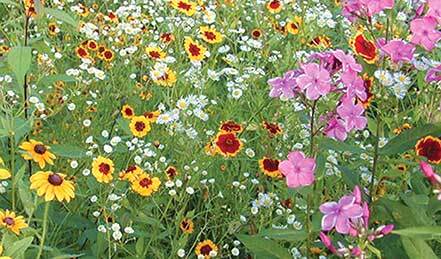 As a result, native species used in the home landscape are generally more tolerant of diseases and insect pests and therefore require fewer pesticides. They often are better able to extract nutrients from local soils than non-natives, and so don't rely on chemical fertilizers to the same degree. They also may be more tolerant of dryer conditions, depending on the species. "Our natural ecosystem is supposed to be here. It's evolved to be here. It is a sustainable system," says Beacham. "It helps if you can find a single issue to focus on to get people's attention, such as birds and what it takes to get them in your yard," adds Stringer. "Then you have a hook." Another effective hook might be the fact that the United States spends billions of dollars annually fighting invasives, according to Stringer. In other words, we're buying plants that spread beyond the confines of our yards and then spending tax dollars to try to control them. The problem is that once an invasive escapes, it can be hard to eliminate. 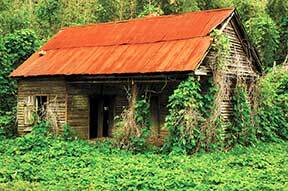 Think kudzu, introduced in the late 1800s as an ornamental and for erosion control; now it's a Southern icon (for all the wrong reasons) and a poster plant for nuisance species. On a positive note, once alerted to the dangers of invasives, government agencies such as the U.S. Forest Service have responded and are working with the society "after a little convincing," says Huffman. 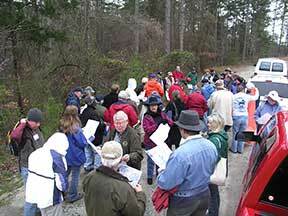 In the early 2000s, the SCNPS approached the Forest Service about the practice of planting non-native species along forest roads and ultimately entered into a cooperative agreement with the agency. Stringer administered the collection of seeds and the data around them, helped establish a seed orchard, and then worked with the Forest Service to establish protocols for planting the seeds. "It was a good example of how we were able to use the [available] science by demonstrating there was a local, regional gene pool that had been there for thousands of years," says Stringer. Rather than using grass seed from somewhere else, "these local native grasses are a gift that's been given to us," so we should preserve them, he adds. The practice of using local native grass seed on the shoulders of forest roads eventually became a model for other states in the Southeast. This successful (and award-winning) partnership between the Forest Service and the SCNPS illustrates a key mission of the organization, which seeks to marry "science to the art of horticulture and gardening and botany," explains Huffman. The founding members decided early on to take a strong, science-based approach to their work. In order to make it accessible to the public, the SCNPS often presents the science involved through workshops and field trips, where it can be taught using a hands-on approach. It's been a very successful strategy. "It's about plant communities and succession, the natural progression of a plant community. 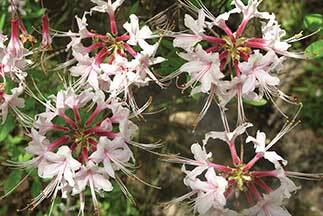 Plus it's easier to think in terms of plant communities as opposed to a particular species," says Stringer. 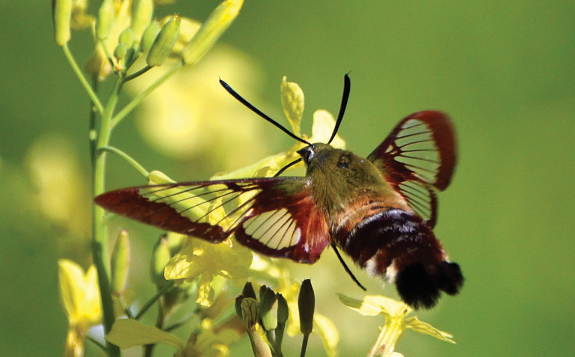 "If you like a particular species, find out what community it lives in and plant the whole." In other words, if you want birds, you must attract the kinds of insects the birds need for their young, and if you want those insects, plant what will attract them - native plants. 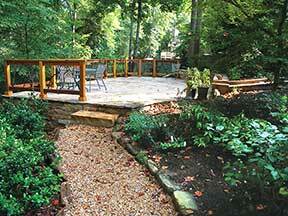 "We are into native plant protection, generally," adds Beacham. 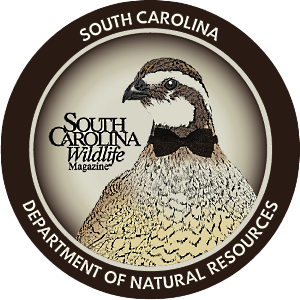 "South Carolina is blessed with a huge diversity and wealth of natural resources. Our mission is preserving and protecting these gifts to protect biodiversity and allow nature - plants, insects, birds and other wildlife - to thrive in the environment it helped create." 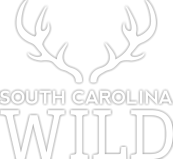 Laura Ann Garren, a freelance writer and frequent contributor to South Carolina Wildlife, lives in Pendleton.